Since the beginning of the year, the Port of Cherbourg has been shaken by various events. We already welcomed 13 cruise calls including 5 unexpected: The Saga Pearl II on 14th and 15th of January, the Marco Polo the 30th of March. 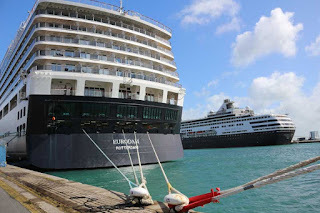 The cruise ships Eurodam and Ryndam, both from Holland America Line company, berthed the 05th of May and decided to stay one more day because of the bad weather conditions and a rough sea, such as The luxurious Seabourn Quest berthed the 20th at the Quai de Normandie for 2 days. We welcomed 4 inaugural calls: The Saga Sapphire, The Ocean Nova, The Serenade of the Seas, and the MSC Sinfonia. So, a total of 18976 cruise guests and 8279 crew members since January. For the moment, the statistics shows that shore excursions toward the Normandy Landing Beaches and the D-Day sites are the best sellers, followed by scenic tours in the Saire Valley, and, in third place, the Mont Saint Michel. 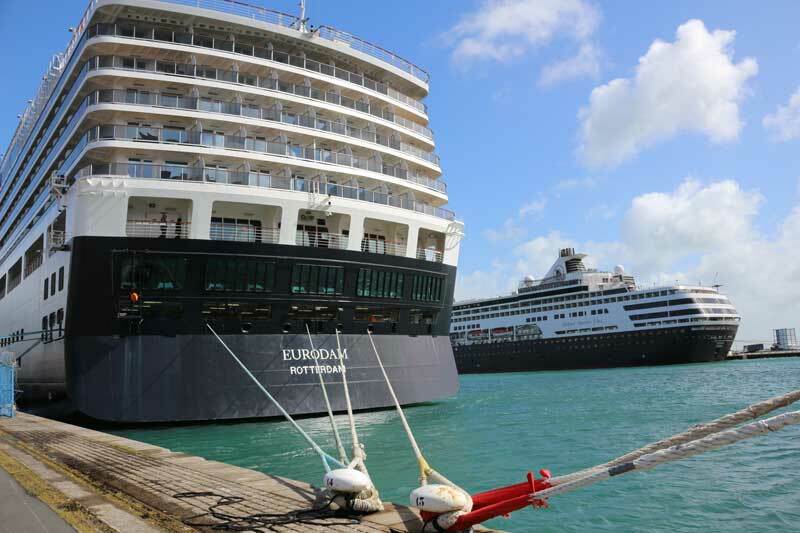 Until the end of October, we are still expected 11 other cruise ships calls, with three overnights call with the Hebridean Princess in July and August. 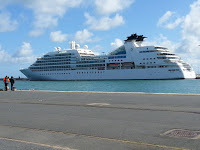 Two embarkment dates are planned on the Costa Fortuna and the Costa Pacifica in September. Then, 6 other inaugural calls are scheduled. The Port of Cherbourg still reinforce its strategic situation, such as a welcoming port, ideally protected by the largest artificial breakwaters of the world, and the perfect gateway to Normandy and its wonders. We are already preparing 2016 cruise Season in Cherbourg, with 26 calls announced from March to November. Two major highlights for next year: The famous ‘Tour de France’ cycling race and the Normandy Impressionist Festival that will take place from the 16th of April to the 26th of September. It is time to prepare your excursions!! !